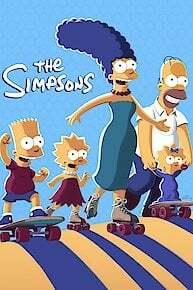 In this animated comedy, the oafish Homer Simpson tries to live a normal life with his wife and three children. The problem is that the residents of his hometown of Springfield are far from normal, and Homer's too dumb to deal with them gracefully. Having introduced characters that would become huge cultural icons, the series went on to become one of the longest-running in TV history. Maggie becomes possessed by an ancient demon; Lisa discovers a creepy and perfect version of her family in an alternate universe; and Homer cannibalizes himself. The voice of Flanders and many others will be back for new seasons of the Fox comedy. It involves Homer, an exploding beer, and a long coma. A truly selfless move from Sam Simon. This is not okay. NOT okay. This one from animator Don Hertzfeldt aired last night and is seriously weird. Are you ready for the ultimate binge-watch? As one of the longest-running shows still on the air today, "The Simpsons" is a television staple. But the animated comedy is about to find a secondary home online. Simpsons World is the latest endeavor from cable network FXX, and will soon offer every single episode of "The Simpsons" to date available for online streaming. Marcia Wallace had been the voice of Edna Krabappel on "The Simpsons" for more than two decades, but she'd made her mark on television much longer ago than that. In the 1970s, she was one of the most familiar faces on TV. Homer becomes a church deacon. Guest starring Edward Norton. Milhouse does his best to attract Lisa. Plus, Homer attempts to salvage his marriage by being a better man. Guest starring Wanda Sykes and George Takei. The Simpsons is currently available to watch and stream on FOX. You can also buy, rent The Simpsons on demand at FX+, Amazon, Hulu, FOX, Vudu, FX Networks, FuboTV, Sling, FandangoNow, Google Play, iTunes online.